A note from Russ White: Working with the boards of nonprofit organizations gives me the chance to collaborate with people who want to make a difference in the world. They want to do things that matter — and to do them well. Here’s what some of the nonprofit leaders I get to work with have to say . . . The ArtsLab program at Arts Midwest has had the good fortune of working with Russ White for several years. Russ is a skilled, friendly, and effective presenter. He helps our small arts organizations think about governance with concrete tools and best practices. We especially appreciate that he customizes his interactive workshops to our specific audience. Therefore, I look forward to continuing to work with Russ. Our governing board conducted a self-assessment that Russ managed and analyzed. He then facilitated a retreat to discuss and dig deeper into the results. I found Russ easy to work with both in the preparation phase and on the ground. His leadership of our discussions was thoughtful as well as thorough. New org. New board. More questions than answers. 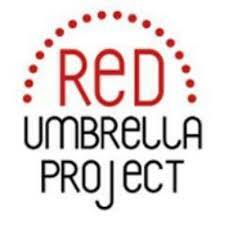 That’s where The Red Umbrella Project was when we began working with Russ. He helped us develop our priorities, through understanding our risk, and gave us a great foundation. Russ clearly understands organizations, boards, risk, development, and how to communicate well. Even better, he taught us all that, simultaneously empowering us to make cogent decisions. With that strong foundation, we’re ready to face the challenges that growth brings. I have worked with Cyrus multiple times, and each time I have walked away with a clearer understanding of important ideas around board governance. He is thoughtful, thorough, patient and able to see the big picture of what he is presenting. I also appreciate that he is open to questions and has real answers versus canned ones. I would hire Cyrus to meet with any group, large or small. He really gives a good presentation that provides immediate and long-term action items and goals. The Minnesota Rural Education Association contracted Russ for board vision and development training. As a result, our board gained better insight into all areas of board development, planning, vision, and cooperation. I appreciate his candor and the ease with which he guided the board as it explored its strengths, weaknesses, vision, and structure. I highly recommend his services. Second Harvest had reached a plateau as a mature organization. Russ guided us through a process that concentrated on our strengths and emerging opportunities to create a new strategic framework for future planning. His methods reflect the latest thinking in board development. Both staff and board leadership agree that the process was productive and of great value to our organization. Thanks to Russ’s creative approach, Second Harvest is re-energized and re-engaged in our mission. As the Director of Training at BoardSource and the person who oversees our Certified Governance Trainer program, I have had several opportunities to work with and see Russ in action. Russ understands the intricacies of nonprofit governance and how boards of directors operate. When you combine this with his comfort level working with nonprofits of all shapes and sizes as well his ability to manage personalities and understand situations, he is the rare consultant that can be recommended to a wide variety of nonprofits across the sector. Russ did an excellent job in leading the discussion with our board at the Minneapolis College of Art and Design. His structure was excellent for allowing individual reflection and for bringing the group together around a small and achievable set of goals. Many of the comments and insights he brought from his experience were invaluable.